Happy Holidays! Merry Christmas, Happy Kwanzaa and Happy New Year! SML 55: Eloise Laws, Paulette Ivory (Fela), Victor Miller (Job Interviews) and more! Sunday Morning Live welcomes Eloise Laws! Live: 10 a.m. PST till 60 or 90 minutes depending on what is going on! On demand: 24/7! Darlene Donloe’s Entertainment report is double barreled! 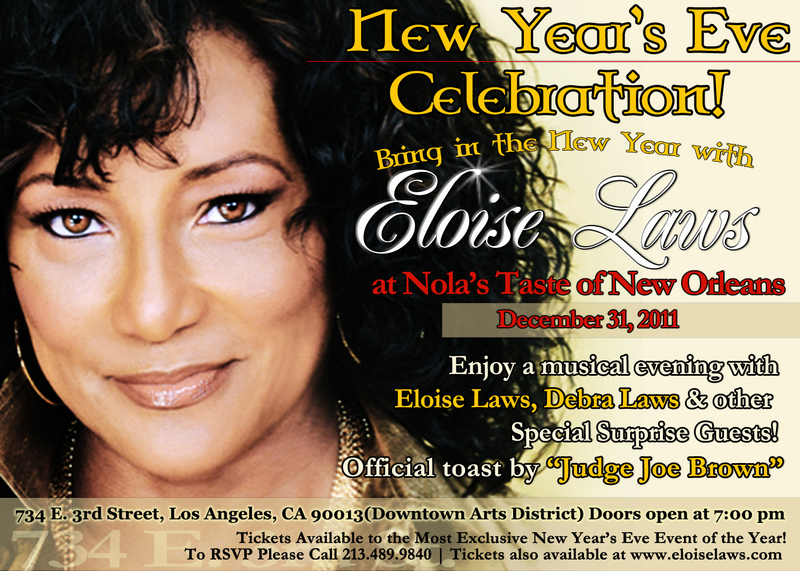 It includes special guest interviews with Eloise Laws and Fela co-star Paulette Ivory http://www.pauletteivory.com! 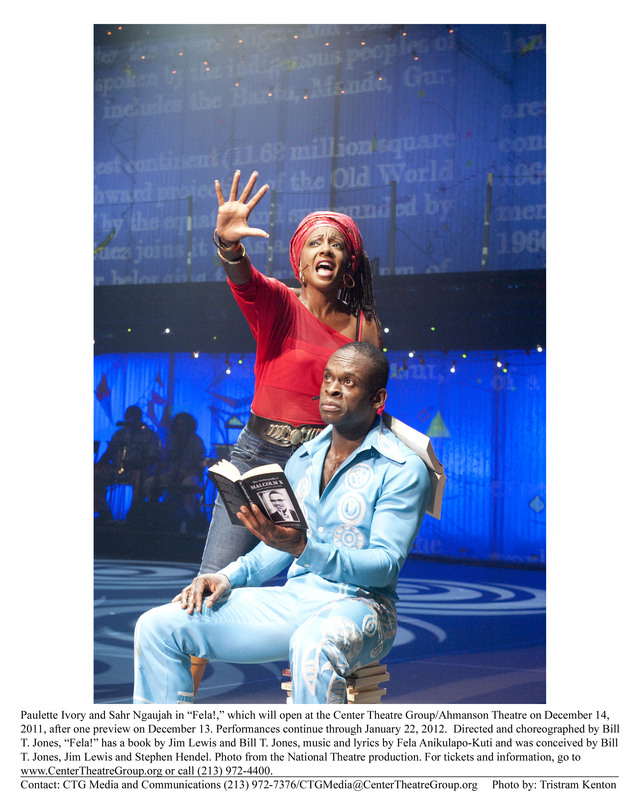 Paulette plays Sandra Iszadaore who was a huge influence on Fela. 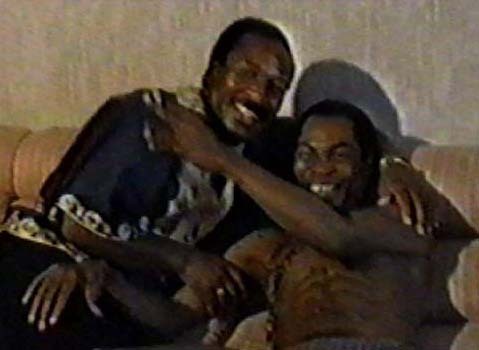 Then, Dr. Kwaku will air a clip of his interview with the late Fela and the very much alive Sandra Iszadore. ABOUT THAT JOB: We are looking for job seekers to see just how they measure up for the almighty job interview. What you should NEVER say in a job interview! Victor Miller, Entrepreneur and Executive at Farmer’s Insurance will give you a test run, on and off the air. Call (619) 996-1674 to find out how you are doing! Also, we will attempt our first international call. Wait for it…! No Show Next Week. Merry Christmas!! Happy Kwanzaa and Happy New Year! 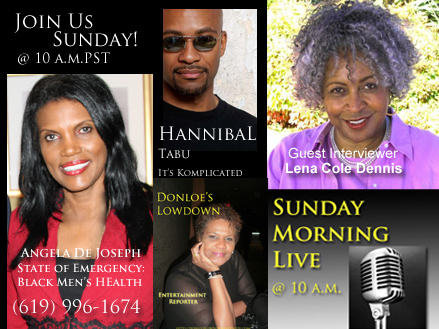 Call in number to speak with the host or just to listen: (619) 996-1674. 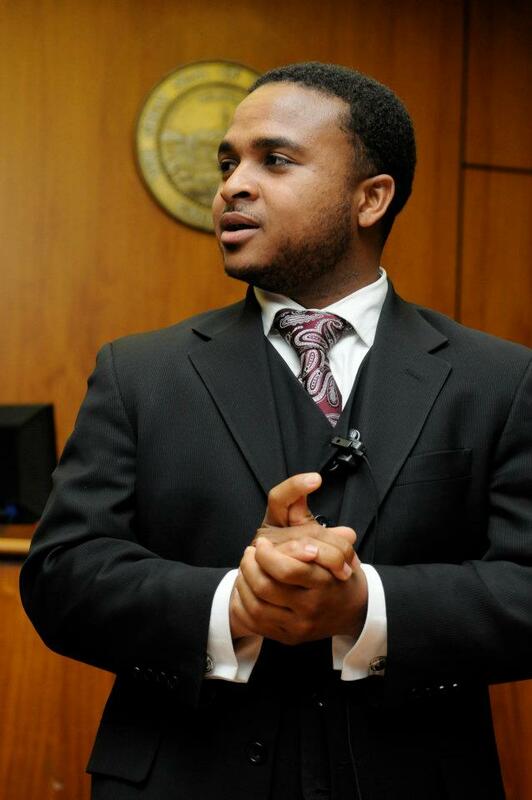 Is the health of Black Men in the State of Emergency? 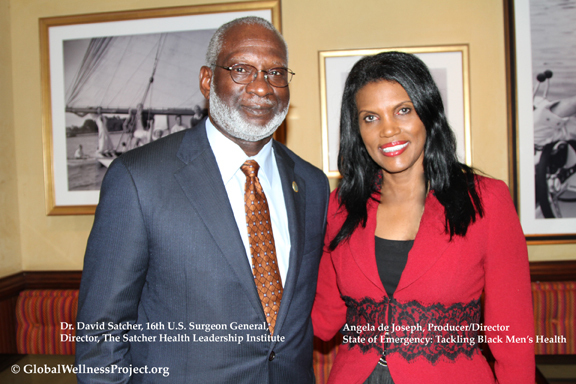 Angela De Joseph is discovering just what that means in her film by the title of “State of Emergency:Tackling Black Men’s Health.” Lena Cole Dennis is the guest interviewer. 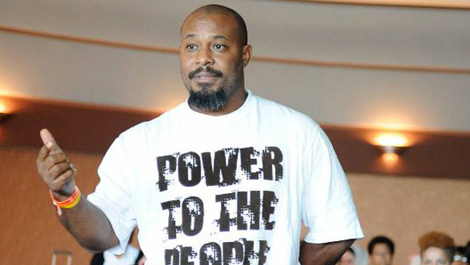 Also Darlene Donloe has a lot to talk about in tomorrow’s Entertainment report and so does Hannibal Tabu in It’s Komplicated–his Tech and Pop segment. Finally, Dr. Kwaku Person-Lynn shares a Candid Moment — an excerpt of an interview he did with Violet Palmer, the only woman referee in the NBA about how she got her start.Tune in! Love and Basketball excerpt played after Dr. Kwaku’s interview with Violet Palmer. 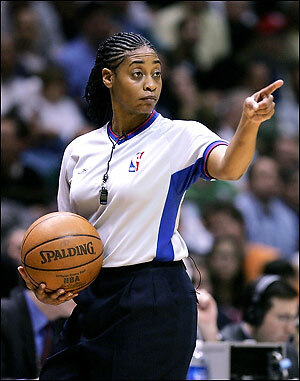 Violet Palmer (born July 20, 1964 in Lynwood, California) is an NBA and WNBA basketball referee who toppled gender barriers to become the first female official to reach the highest competitive tier in a major U.S. professional sport. She also earned recognition as a member of two NCAA Division II women’s championship basketball teams. Palmer was the first woman to officiate an NBA playoff game when she did so in the April 25, 2006 match between the Indiana Pacers and New Jersey Nets. In the NBA, Palmer wears uniform number 12. A native of Compton, California, Palmer grew up in the same neighborhood where Serena and Venus Williams lived as small children. She attended college at Cal Poly Pomona, where she played point guard on the 1985 and 1986 NCAA Division II women’s championship teams. In 2001, Palmer established Violet Palmer’s Official Camp to train youths in the art of refereeing. The camp runs annually from July 9 to July 11. In 2009, Palmer was part of a family team on the game show Family Feud. 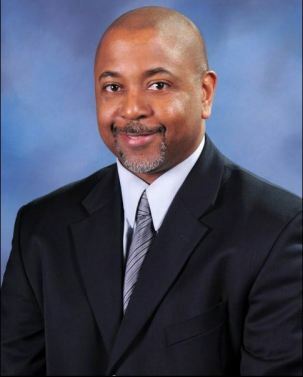 Palmer has officiated hundreds of NBA games, as well as others in the WNBA. Description above from the Wikipedia article Violet Palmer, licensed under CC-BY-SA full list of contributors here. Community Pages are not affiliated with, or endorsed by, anyone associated with the topic. 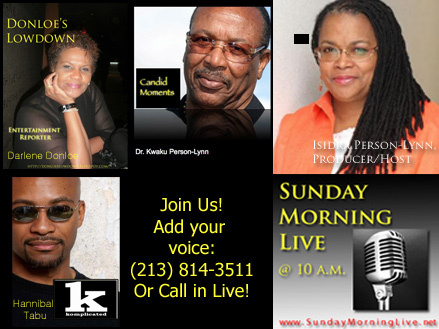 Thanks for supporting Sunday Morning Live!